Yesterday was Friday, and Friday means that the Hamas terrorist dictatorship in Gaza herds civilians, including many women and children towards its border with Israel, a border which is recognized by the entire international community, including most Arab and Muslim states. They then proceed to burn tires and attack the Israeli forces on the other side of the border with homemade explosives. In the ensuing mayhem, under the cover of belching smoke, they force their own civilians to charge the fence and try to gain illegal entry into Israel. They do this knowing full-well that such a breach would not be tolerated. In response to these weekly attacks, Israel deploys both non-lethal and lethal means to stop illegal entry into its territory. As a result, civilians as well as militants are often killed. This is what happened in this latest round as well. One teenage boy (14) and one young man (18) were shot and killed by the IDF as they were attempting to illegally enter Israel. 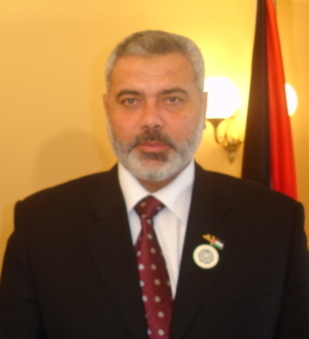 The young boy, Hassan Shalabi, was the grandson of Hamas leader’s Ismail Haniyeh’s sister. That same Friday, before the boy’s body could be interned, it was displayed in his classroom and his classmates were forced to kiss it. Many burst into tears and suffered hysterical breakdowns. The gruesome display was condemned by the Fatah movement in charge of the Palestinian territories in Judea and Samaria as “a low point, culturally, morally, and religiously”. Palestinian sources within Gaza, while wishing to remain anonymous for fear of reprisals, also expressed dismay at this unprecedented tableau. The school released a statement that the body was brought into the school premises “under duress”. However, neither the official Hamas channels, nor those belonging to the even more radical Islamic Jihad movement, expressed any regret at the incident. The only commentary that was offered by them were the usual threats of revenge against the “occupiers” and promises to break the “siege” and liberate “Palestine”. Is The IDF Ready For The Next (Inevitable) War?